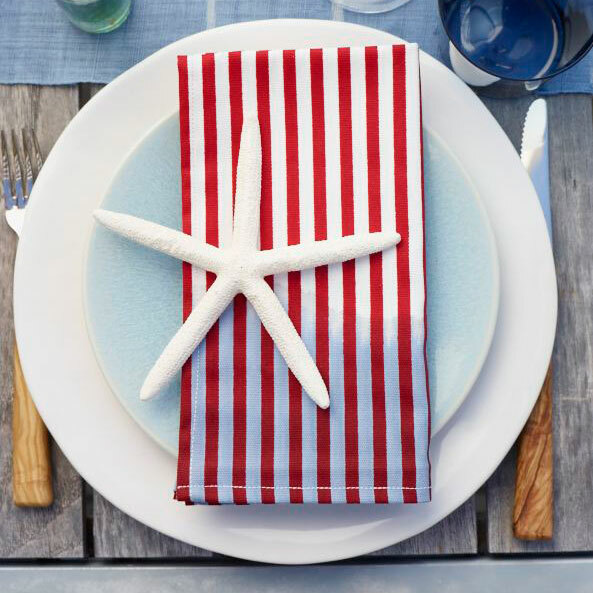 Stylish ways to set the table, from stars-and-stripes napkins to spice shells. 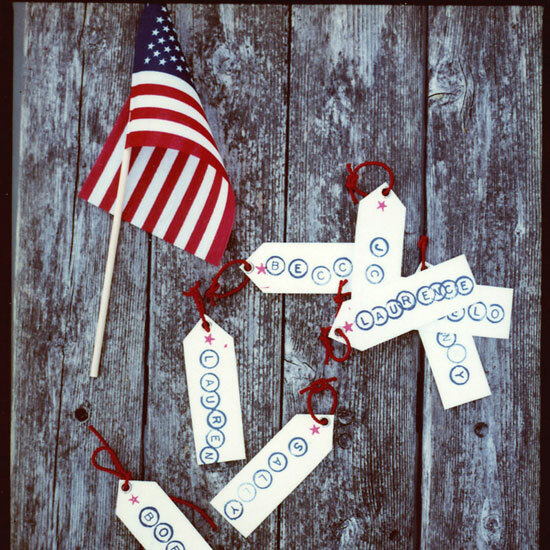 Print out copies of your Fourth of July menu and decorate them with holiday motifs or drawings. Roll them up and tuck them into the necks of small glass bottles; place one at each setting. 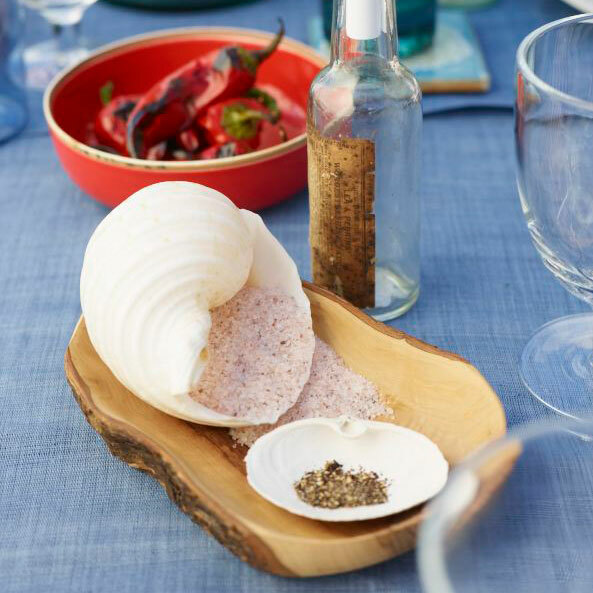 Collect different seashells and use them to hold salt, pepper and spices or lemon wedges. 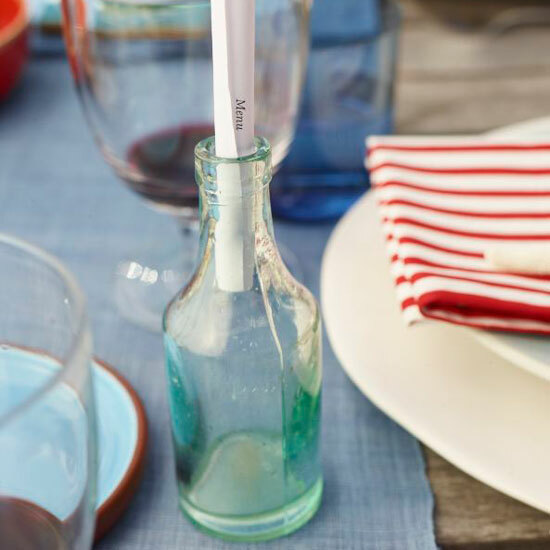 Take red-and-white-striped fabric napkins and partially dip them into blue dye. Set a starfish on top of each for an original stars-and-stripes look. Buy name tags (or cut out your own), then stencil your guests' names on them in blue ink and tie red twine in the punched holes.